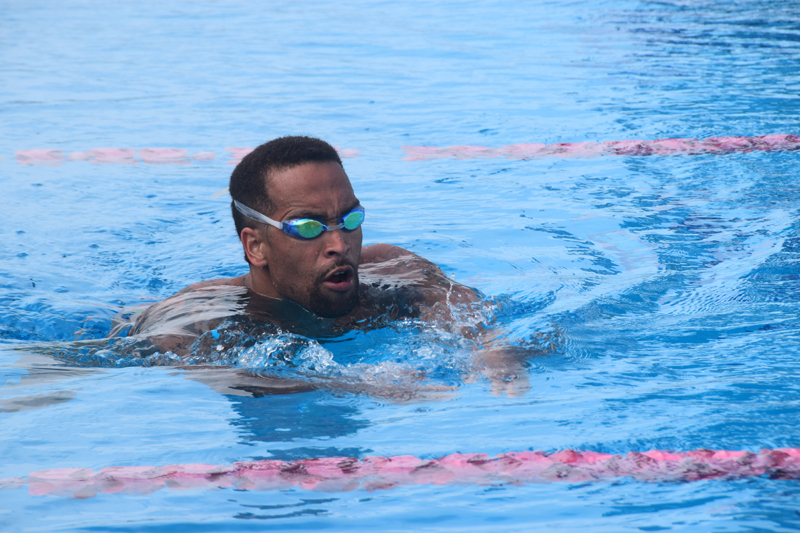 Bermuda Olympic swimmer Roy-Allan Burch recently attended Bermuda’s National Sports Centre with fellow members of SwimMac while training for the Rio Olympics, taking the time to meet young local swimmers in the process. 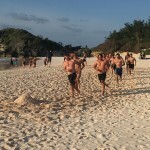 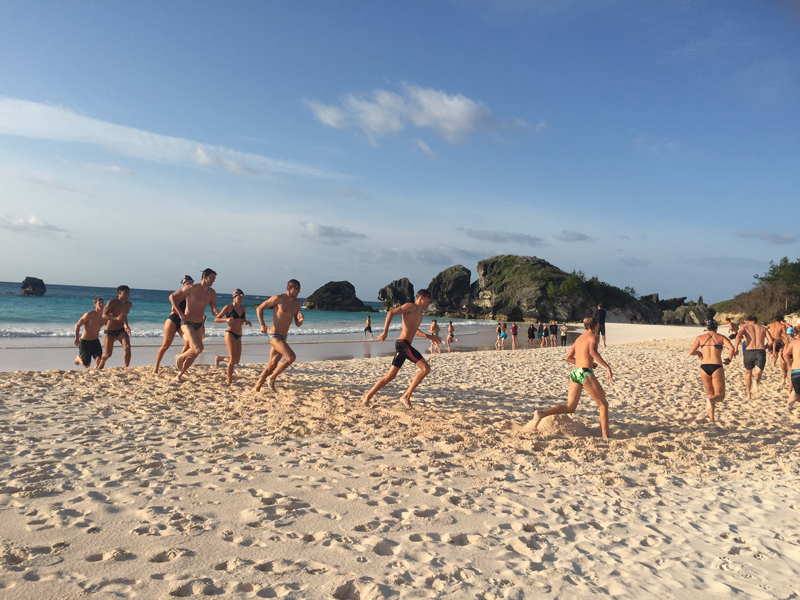 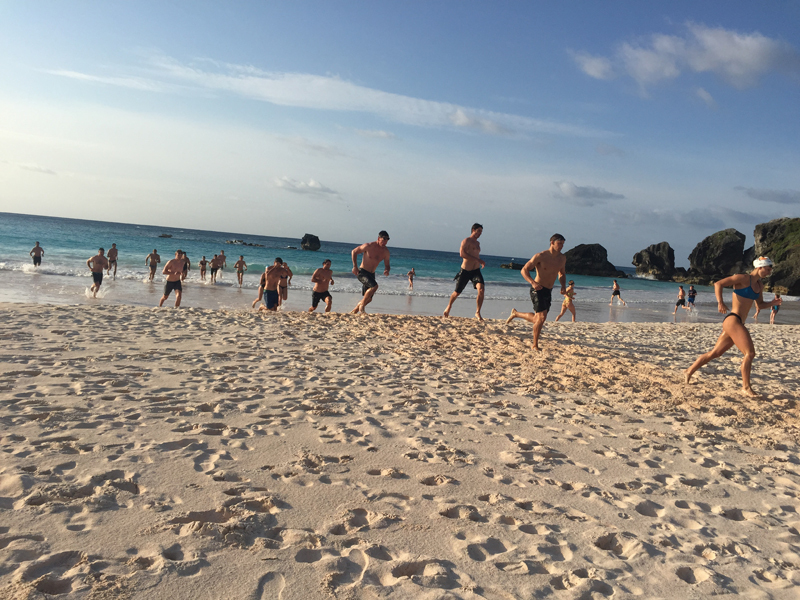 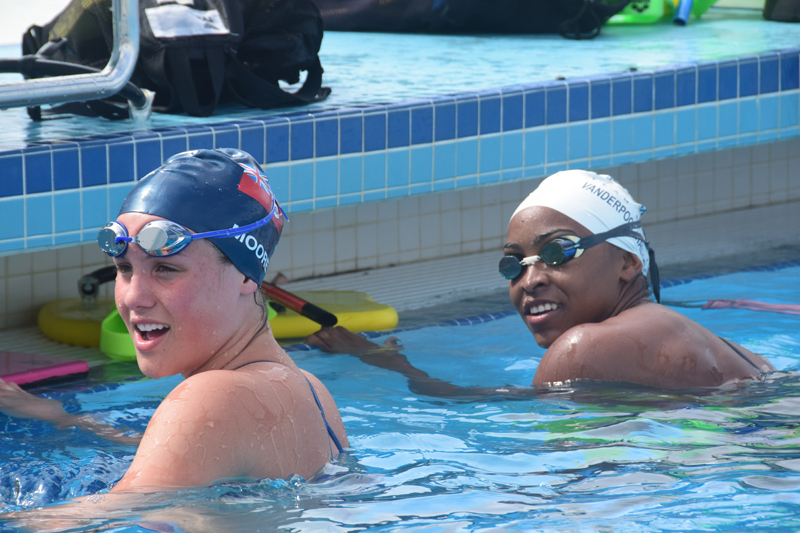 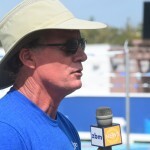 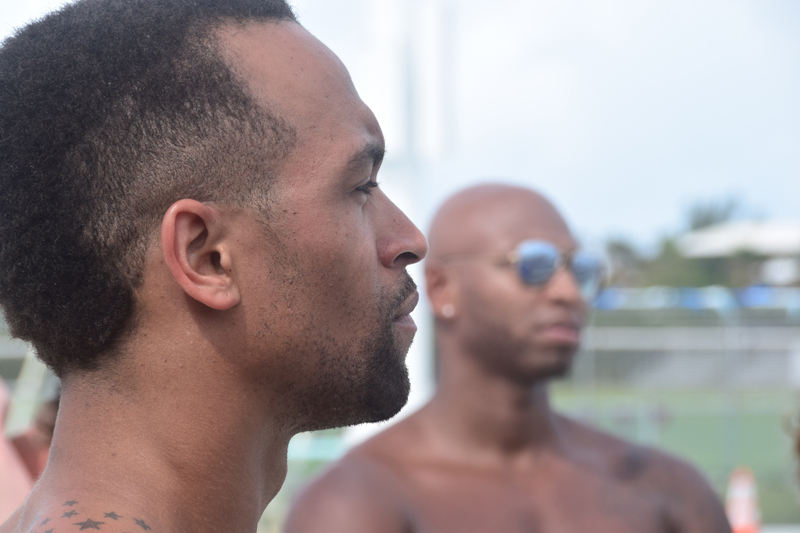 The group spent time answering questions and describing their accomplishments, noting some of their favourite aspects of training in Bermuda, with the island’s hospitality and unique swimming opportunities standing out for the group. 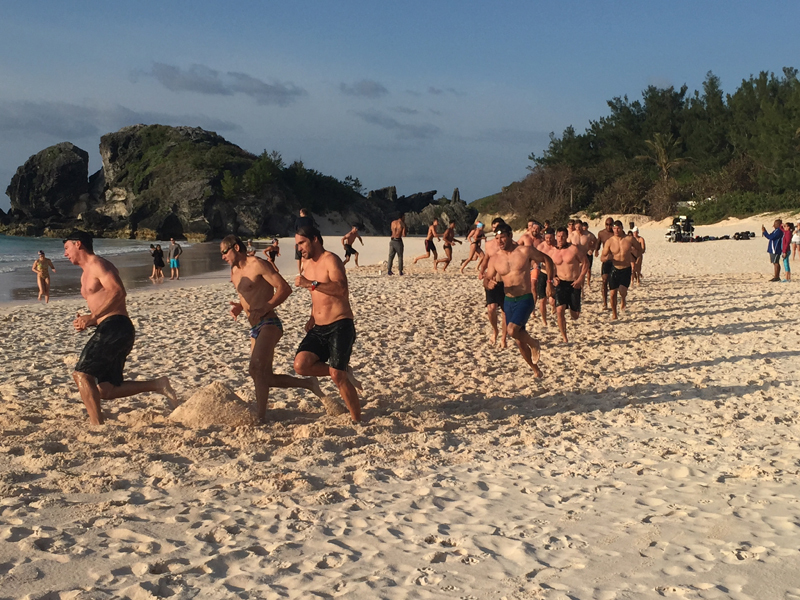 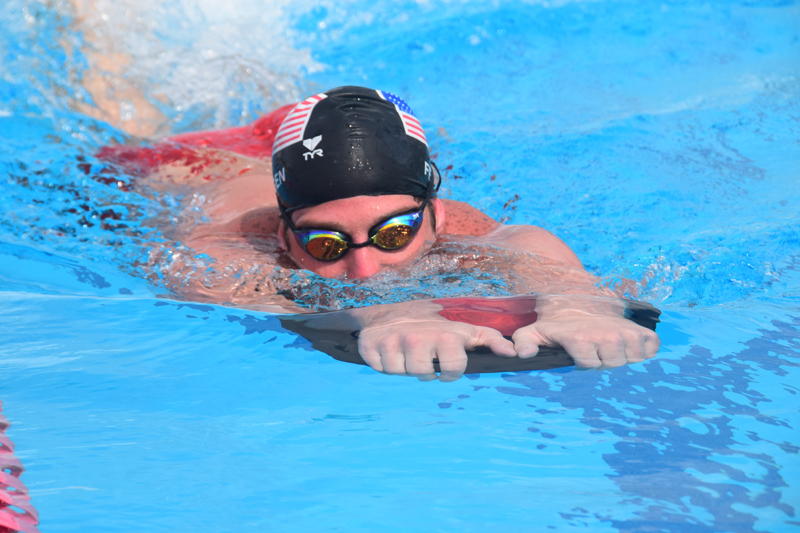 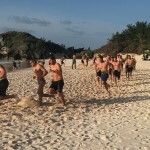 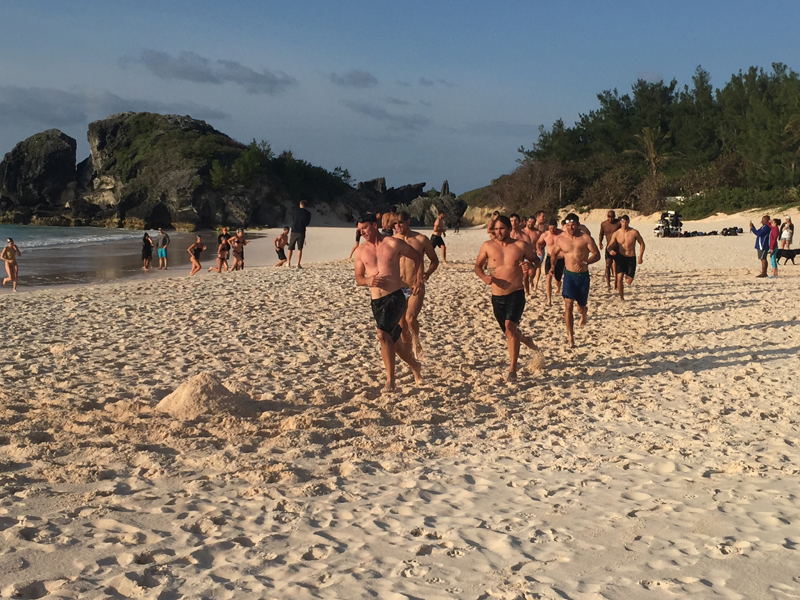 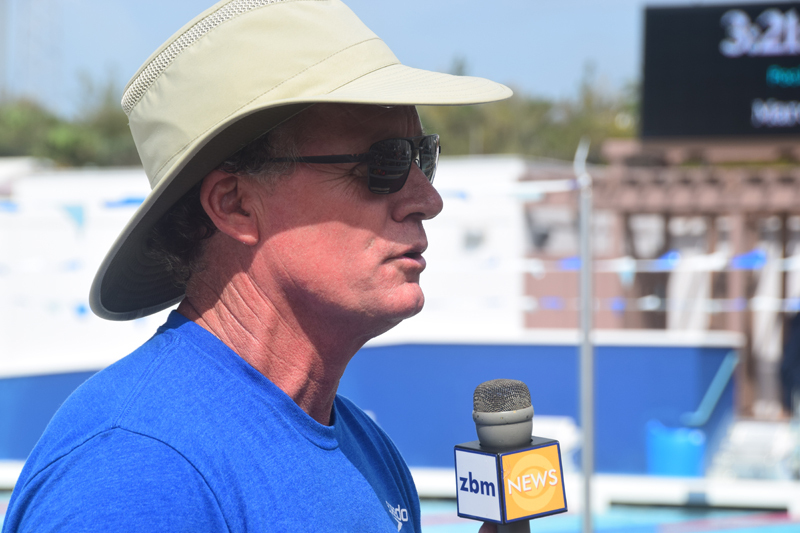 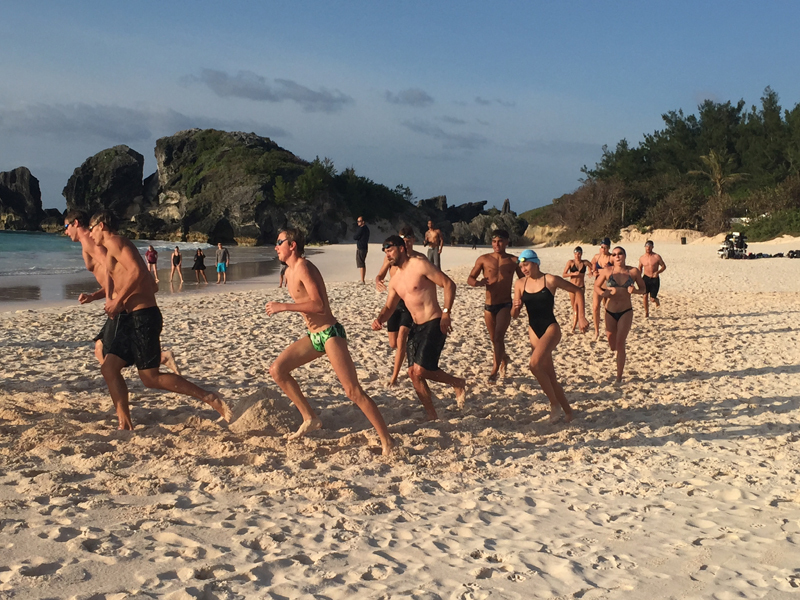 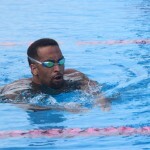 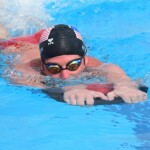 Mr. Burch – who holds multiple Bermuda National Records and has represented the island at two Olympic Games – was back at it yesterday morning [March 30], swimming at Horseshoe Bay Beach as his team’s training continued. 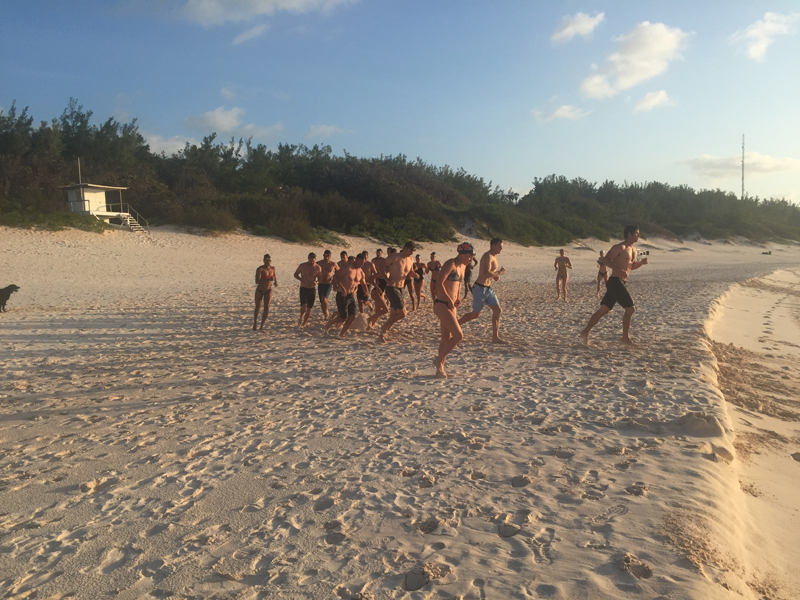 A great bunch of people, really friendly and ready to help. 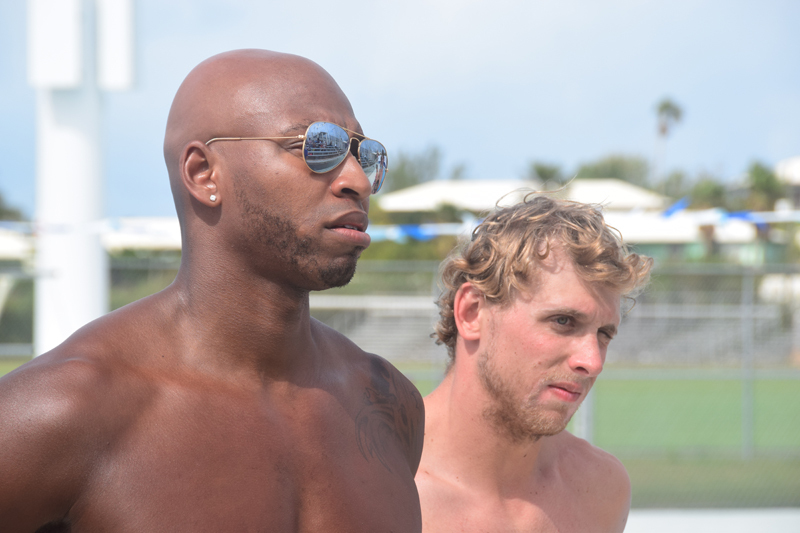 Hope they come back!